**PLEASE CHECK CLASS TITLE FOR LOCATION: We have 2 studios in Melrose! One is located at 450 Main St. and the other is at 466 Franklin St. Please make sure you arrive 10-15 minutes early for your scheduled class. 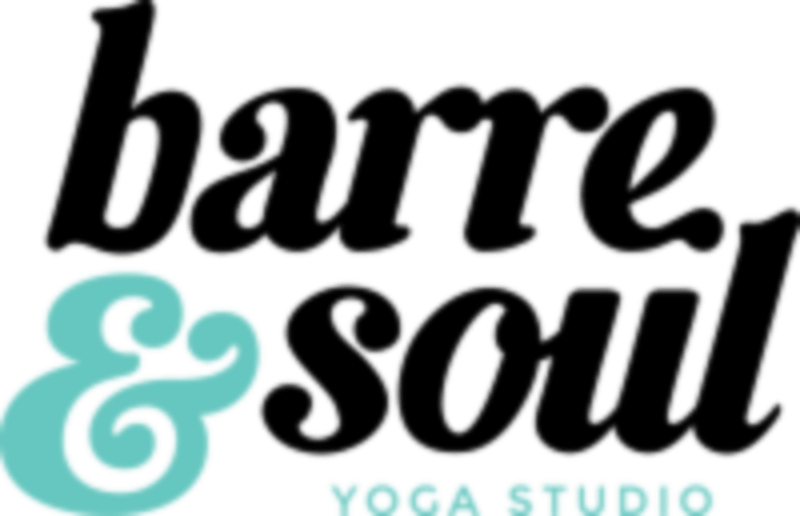 Barre & Soul Barre & Yoga studio whose culture is rooted in grace and grit. Signature barre classes are inspired by the original Lotte Berk technique and yoga classes are taught in a non-heated Vinyasa style. Barre & Soul also offers yoga and barre teacher trainings and workshops in their studios! **PLEASE CHECK CLASS TITLE FOR LOCATION: We have 2 studio locations 450 Main St & 466 Franklin St! Please check the class description for the specific location, ie "Main St." or "Franklin St.". Complimentary mats are provided, however you are welcome to bring your own! Also bring a bottle for water, we have filtered water available at no additional charge. No sticky socks required for barre classes. Please arrive 10-15 minutes before class to get acquainted with the studio and your instructor. **PLEASE CHECK CLASS TITLE FOR LOCATION: We have 2 studios in Melrose! One is located at 450 Main St. and the other is at 466 Franklin St. Class location can be found in the class description, so please make sure you know which studio the class is being held at prior to arrival. Please make sure you arrive 10-15 minutes early for your scheduled class. Great class, this was my first core vinyasa class. I got a little lost with the moves but was able to pick it up by checking everyone else’s moves. Highly recommend. Thank you so much for your feedback! We're so glad that you had a great first experience taking our core vinyasa class. We'd love to have you back! Alex is the best. The new band added variety and was super challenging! The instructor cracked several jokes throughout class and it was much more of a technical lesson than a Vinyasa Flow class. While his advice was helpful in some ways, it took away from the class experience. Thank you so much for your positive feedback! We're so glad that you had a positive experience working out with us! Thank you so much for the feedback! We can't improve without knowing what our community needs.